Be the first to share your favorite memory, photo or story of Edith "Edie". This memorial page is dedicated for family, friends and future generations to celebrate the life of their loved one. 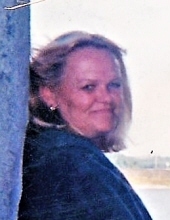 Edith E. Monroe, 68, of Bellefontaine, OH, formerly of Indian Lake, passed away Tuesday, November 20, 2018 at St. Rita’s Medical Center, Lima, OH. Edith was born on December 9, 1949 in Miles City, MT, a daughter of the late Harold E. and Julia Krohne Monroe. She was preceded in death by seven siblings, Russell Monroe, Erma Jean Auske, Bonnie Alspaugh, Linda Early, Betty Jo Monroe, Judy B. Monroe, and Sunshine Cummins. Edie is survived by a son, Mitchell A. Hickey, three daughters, Cassandra M. (Craig) Garver, Angela K. (Dan) Beltz, and Patricia L. (William A.) Gauntt, eleven grandchildren, Ashley (Ryan) Miller, Eric Hickey, Kayla Beltz, Terra Beltz, Dylan Beltz, Aidan Garver, Alexis Garver, Sadrian Garver, Kirsten Gardner, Arial Yarger and Nick Gauntt, two great-grandchildren, Joshua and Emily Miller, two siblings, George (Kathy) Monroe and Bobbie Kraft and several nieces and nephews. Edie was a member of St. Patrick Catholic Church in Bellefontaine. She previously worked at Plastipak and was well known around Indian Lake from her time working at Antonio’s and Aunt Millie’s Restaurants. Edie earned her Associates Degree in 1999 from Lima Technical College. Edie was a very giving person who donated her time at Agape Ministries in St. Marys, OH and the Salvation Army at Indian Lake. She was an animal lover, enjoyed crocheting, crafts and listening to Christian Rock music. She loved going to church and spending time with family every moment she could. A Mass of Christian Burial conducted by Reverend Shawn R. Landenwitch begins at 11:00 am, Tuesday, November 27, 2018 at St. Mary of the Woods Church, 464 Madison Ave, Russells Point. Visitation is Monday, November 26th from 2-4 and 6-8 pm with prayers beginning at 1:45 pm at Shoffstall Funeral Home, 205 S. Main St, Lakeview and one hour prior to mass at the church on Tuesday. Burial is in Huntsville Cemetery. Memorial Contributions may be given to St. Mary of the Woods Church, St. Patrick’s Church or Logan County Cancer Society. Condolences can be expressed at shoffstallfuneralhome.com. Arrangements are in the care of Shoffstall Funeral Home, Lakeview. To send flowers or a remembrance gift to the family of Edith "Edie" E. Monroe, please visit our Tribute Store. "Email Address" would like to share the life celebration of Edith "Edie" E. Monroe. Click on the "link" to go to share a favorite memory or leave a condolence message for the family.